The members of my Surrey-based leadership group, Entrepreneurs Board 8, enjoyed an engaging and thought-provoking session from Academy for Chief Executives’ founder, Brian Chernett, recently. With over 40 years’ experience of leading businesses himself and coaching business leaders, and following publication of his new book, ‘The Entrepreneur Within‘, Brian perfectly combined his relaxed style with immense practical experience to deliver his top 20 ideas for success in the current economic uncertainty. Ensure all your staff are ’10’s, the market for finding great new people has never been better. 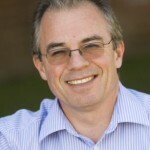 Gordon Bromley is Chairman of Surrey groups Academy Group 14 and Entrepreneurs Board 8, centred in the Kingston, Twickenham, Walton, Woking and Guildford areas of South West London and Surrey. Posted in: Business, business support services, CEOs, Economic Downturn, Experiential Learning, Leadership, leadership mentoring, MDs, peer group support.